Several years ago WRPC formed a relationship with The House of Fellowship, a small church south of Gallup, New Mexico, whice serves the local Navajo population. 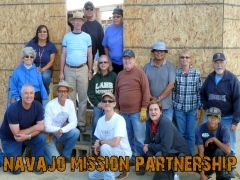 WRPC has supported the Navajo people in numerous ways, including construction, upgrade, and maintenance of their church facility and residences, and annual firewood supply to House of Fellowship members. An important note regarding firewood is that numerous Navajo families rely solely upon firewood as their only winter heat source. To view pictures of this successful and important firewood effort, please see the HOF Firewood Supply page. WRPC has been blessed to work with HOF director Fred Thomas and his wife Lorraine, as well as Farrah Jefferson and Lucy Thompson. We look forward to continued support of House of Fellowship and the Navajo people. This important project is continualy seeking both financial and physical support. For financial support, please make all donations payable to White Rock Presbyterian Church, with "Navajo Mission Project" in the check memo line. Please give as your heart directs you. For physical support in the Gallup area, please feel free to contact us directly by phone (505-672-3682) or email officemanager@wrpchurch.com here at the church. It is with great excitement that we established the Julie's Helpers Memorial Scholarship Fund, its aim being to provide annually an award of $2,500 to a young Navajo woman or older Navajo girl, to help her pursue personal, educational, or professional development that she could not otherwise afford. Many of us - family, friends, sorority sisters, fellow disciples of Jesus Christ - have been helping in this mission since Julie Meadow's death in December of 2009 from a brain tumor. While she was ill, many of us shared in a network of practical support for Julie and her family known as "Julie's Helpers," it has seemed natural to extend that effort, only "helping" Julie now to empower and encourage those she had just begun to care about when she was stricken with her disease: young Navajo women and older Navajo girls. To provide, to one such recipient every year, the significant financial assistance that the scholarship represents will be a fine legacy to the practical compassion we all loved and prized so much in Julie. We dare to think that she would be proud of us for it; we know she would be proud of each annual recipient of the scholarship. The first annual $2,500 award, with fanfare, was given to Laverne Emerson of Gallup New Mexico at the first annual JHMS Navajo Taco Sale held on June 3rd at Ashley Pond (and on or around each Memorial Day weekend thereafter). Happily, we had most if not all of the funds we needed for that initial award already in hand. Our hope, however, is that many will want to begin making plans now to support the scholarship fund on an annual basis. Meanwhile, if you would like to make a small gift, at least, to the scholarship fund in the next month or two, as a symbolic gesture, you will not only warm our hearts, you'll be valuably "seeding" the collection of funds for the 2012 award. Your check can be made out and sent to White Rock Presbyterian Church (310 Rover Blvd., Los Alamos, NM, 87544); please memo it clearly "Julie's Helpers Memorial Scholarship." All contributions are tax-exempt, will be acknowledged as such, and will be held in trust and used exclusively for the annual scholarship awards. We want to keep you advised of news and developments; if you would like to convey an email address at which we can reach you, please send it to us at julieshelpers@wrpchurch.com. The current committee - Darren Meadows, Angela Thomas, Pastor Fred and Lorraine Thomas, Jennifer Holmes, and Susan Buxton - will be happy to hear from you. If you have any questions or concerns, feel free to contact us directly by phone (505-672-3682) or email officemanager@wrpchurch.com here at the church. So grateful for your partnership in the wonderful venture of Julie's Helpers Memorial Scholarship! 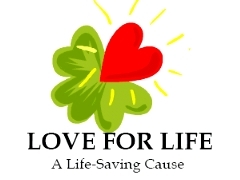 "Love for Life" is a campaign to raise funds to supply much-needed rescue equipment and training to the mountain community of Giron, Ecuador. Giron, Ecuador, is a quiet Andean town in the province of Azuay, ringed by mountain ridges. The only road up to the third-largest Ecuadorian city, Cuenca, is very steep and treacherous. Rock and mud slides are common. As you can imagine, road maintenance is not up to U.S. standards. Local rescue workers do not have equipment for extricating accident victims. As a result, many accidents have led to tragic but avoidable deaths. Giron is certainly a beautiful place, well-known to many visitors. Despite the risks inherent in any foreign travel, with Jaws of Life equipment, local rescue workers would be able to make transportation in and around Giron less life-threatening for residents and tourists alike. To view pictures of this exciting effort, please see Cuerpo de Bomberos de Giron, Bombero Norteamericano en Giron / Wes Walker, Elida Edelmann's visit to Giron Fire Department, and the Recently Donated Items to the Cuerpo de Bomberos photo galleries. This life-saving project is continualy seeking funds for Extrication/Vehicular Rescue, High Mountain Rescue Equipment, Motorola Portable Radios, and Chieftain Rescue Gear. Please support this campaign to raise funds to supply much-needed rescue equipment and training to the mountain community of Giron. Please make all donations payable to White Rock Presbyterian Church, with "Love for Life" in the check memo line. There is no maximum donation limit. Advocacy: We help victims with orders of protection and make referrals to legal aids and other agencies that will help them with the legal issues. Individual Therapy: Designed for Children, Victims and Perpetrators, individual therapy sessions help the person explore the choices they have made and are given options and insight to new choices that will take them to live violence-free lives. Group Therapy: In group therapy people learn from each other through sharing experiences, and are guided by a facilitator to understand the importance of identifying patterns of behaviors that they themselves or their partners can exhibit so that they can make good choices in time that will start creating a violence-free environment for their family. Emergency Shelter: The emergency Shelter is available 24 hr a day 7 days a week. It is designated for victims in dangerous situations. It is a place where they are provided with free food, shelter and education about making the correct choices to start the path for a better future. For more information, please visit the CCNNM website. Please help support the invaluable mission work we are involved in with the Crisis Center of Northern New Mexico. For more information, feel free to contact us directly by phone (505-672-3682) or email officemanager@wrpchurch.com here at the church. 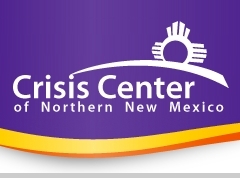 The Crisis Center of Northern New Mexico appreciates your support! ARTA is a 20 year old organization founded by Dr. Charlie Diebold. This non-sectarian, ecumenical Christian organization is focused on helping rural Mexicans in the areas of Michoacan and the Sierra Tarahumara. Our main efforts over the past year have focused on: 1) Assisting 50 plus subsistence farming families with fertilizer and the management of their corn crops, 2) Expanding and maintaining the Junior High School and Tinajas, and 3) Transporting Tarahumarans to Guerrero, a larger city about 70 miles north of our work area, where they can recieve medical treatment for eye disorders. ARTA distributes over 7 tons of fertilizer to very remote locations, receiving payment from the families according to their ability to pay. Over the past several years, many families are now able to pay for a good protion of their fertilizer due to greatly increased crop yields. Along with corn crop assistance, we also help the farmers develop cold frame gardens to introduce new vegetables to their diets. 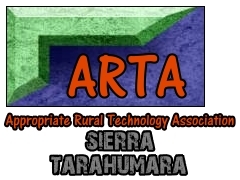 WRPC focuses on the Sierra Tarahumara project of ARTA, which improves the lives of the Sierra Tarahumara people. This project provides and distributes fertilizer, promotes agriculture, helps design and build the junior high school, collects and analyzes data on fertilizer and corn seed trials, builds protein-rich fish ponds, construct sanitation structures, provides erosion control and soil conservation, and develop potable water sources. If you have any questions or concerns about the ARTA/Sierra Tarahumara project, feel free to contact us directly by phone (505-672-3682) or email officemanager@wrpchurch.com here at the church. So grateful for your help and support with the ARTA/Sierra Tarahumara mission project! 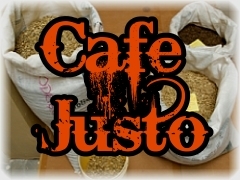 Cafe Justo is a coffee grower cooperative based in Salvador Urbina, Chiapas, Mexico that markets organic coffee which is grown, harvested and marketed in the spirit of justice. Its mission is to address root causes of immigration economics, by connecting coffee growers directly with coffee drinkers. Growers own every aspect of the business from the cultivation, to the processing of the green beans, to the roasting, packing, shipping and exporting. The coffee is grown in Chiapas and transported to Agua Prieta, Sonora, where it is roasted, packaged and exported directly to customers in the United States. After building trusting relationships, the negotiations bore fruit, and with a small microcredit loan, the group bought a roaster and bags for shipping. Cafe Justo was up and running. Thanks to the efforts of U.S. Presbyterians who promoted the coffee, the cooperative grew at a phenomenal rate. After a few years expanded capacity was necessary. This ongoing project is simply seeking support through your purchase of Cafe Justo coffee. Please contact us directly for more information by phone at (505-672-3682) or email officemanager@wrpchurch.com here at the church. Thank you for your support of Cafe Justo! 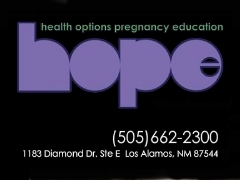 Hope Pregnancy Center (Health Options Pregnancy Education) receives support from WRPC in a number of ways, including financial support as well as administrative/direct support of the Los Alamos office itself. Hope Pregnancy Center is a non-profit Christian organization committed to supporting women and providing accurate information on pregnancy options and sexual choices. All of our services are offered free of charge and are confidential to the fullest extent allowed by law. Our Center is staffed almost entirely by volunteers who receive no financial compensation for their work here. For more information, please visit the HOPE Pregnancy Center website. This mission work seeks continued involvement through WRPC and will appreciate your ongoing financial support. Please contact us directly for more information by phone at (505-672-3682) or email officemanager@wrpchurch.com here at the church. Thank you for your support of HOPE Pregnancy Center! WRPC supports this PC(USA) effort in several ways. First, friends of our congregation, Leith and Carol Fujii have been Mission Co-Workers at BIT since 1998. Leith and Carol usually spend some time with us each year, expanding our knowledge on evangelism work in Thailand and helping us to be involved in parts of their ministry. Leith is an instructor in theology and evangelism and Carol teaches English to the entering class at BIT and is also involved in outreach ministries with Thai congregations. We support them through prayer, donations to PC(USA) missions and by hosting sales of jewelry, cards and other items, made by students and worshipers at BIT. This ongoing project asks for your prayers, donations to this mission, or support of BIT sales. Please contact Jennifer Holmes at jenbholmes@yahoo.com or the church office at officemanager@wrpchurch.com. Thank you for your support of BIT! WRPC supports the Presbyterian Disaster Assistance fund through designated gifts of members, friends, and visitors of our church. Presbyterian Disaster Assistance enables congregations and mission partners of the Presbyterian Church (U.S.A) to witness to the healing love of Christ through caring for communities adversely affected by crisis and catastrophic events. 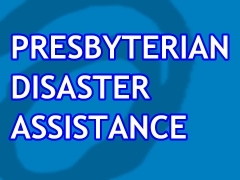 For more information, please visit the PCUSA Presbyterian Disaster Assistance site. Please support this financially and prayerfully as you feel moved! Contact us directly for more information by phone at (505-672-3682) or email officemanager@wrpchurch.com here at the church. Thank you for your support of the Presbyterian Disaster Assistance fund!